*You will receive rewards from the previous referral level(s), except the C of Red card value. The C of Red card value will correspond to your referral level only. Please note that this program does not apply to resellers or group purchasers. You must fill out the form below, and Season Tickets must be paid in full in order to receive rewards. Season Tickets that are transferred between accounts or added to an existing account will not be acknowledged as referred for the purpose of this program. 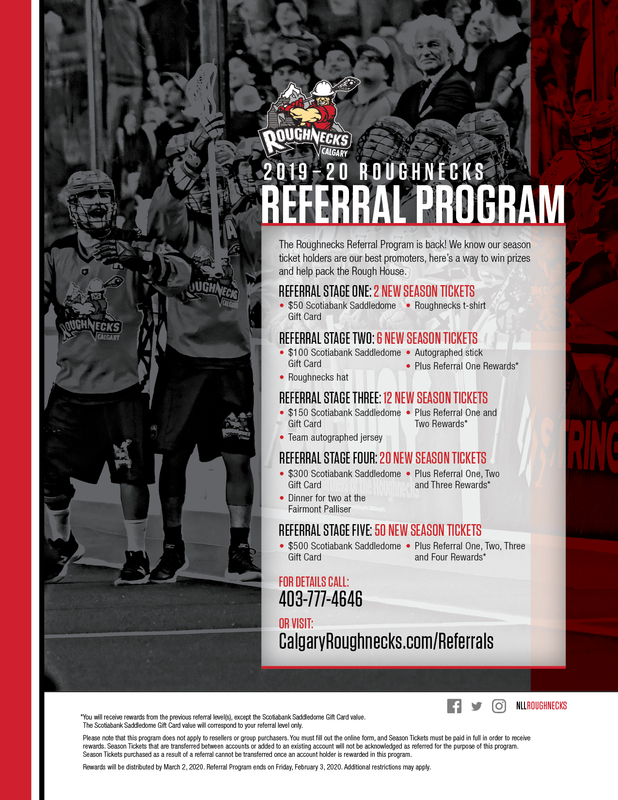 Season Tickets purchased as a result of a referral cannot be transferred once an account holder is rewarded in this program. Rewards will be distributed March 2, 2020. Referral ends on Feb 3, 2020. Additional restrictions may apply.